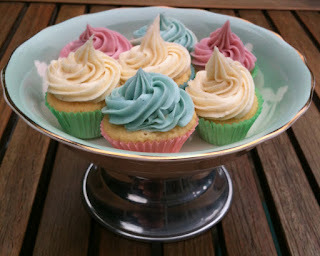 I bought some Petit Four cases ages ago and have never got round to using them, I thought they would be perfect for making some mini Jubilee Cupcakes. Quite a difference from a normal cake case! I had a go the other weekend as I am hoping to take some to a party one of our neighbours is having. Put everything in a food processor and blitz until smooth consistency, put about a teaspoon into the mini cake cases and cook for about 10 minutes! 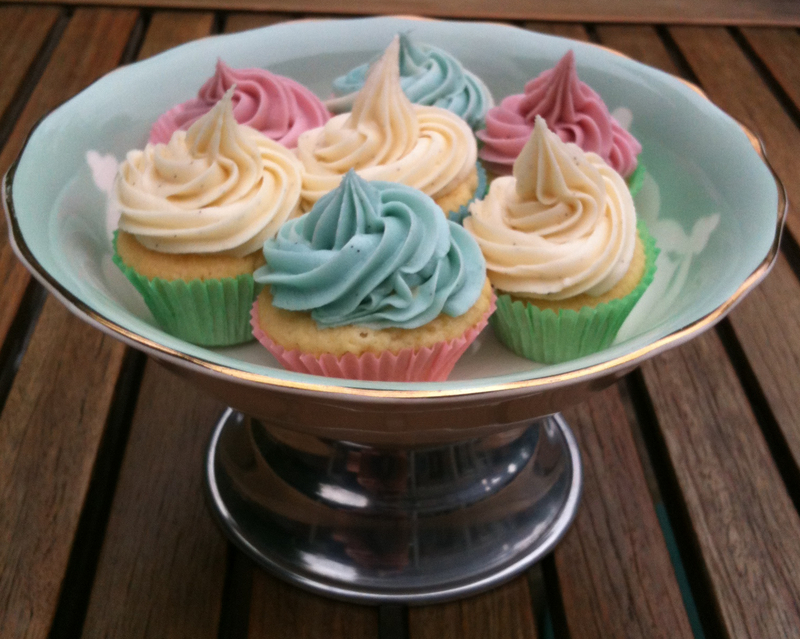 Once they have cooled I iced with buttercream (I have my own secret recipe but if you need one this one on Baking Mad is really good) which I had split into three, added red to one and blue to another leaving one white. 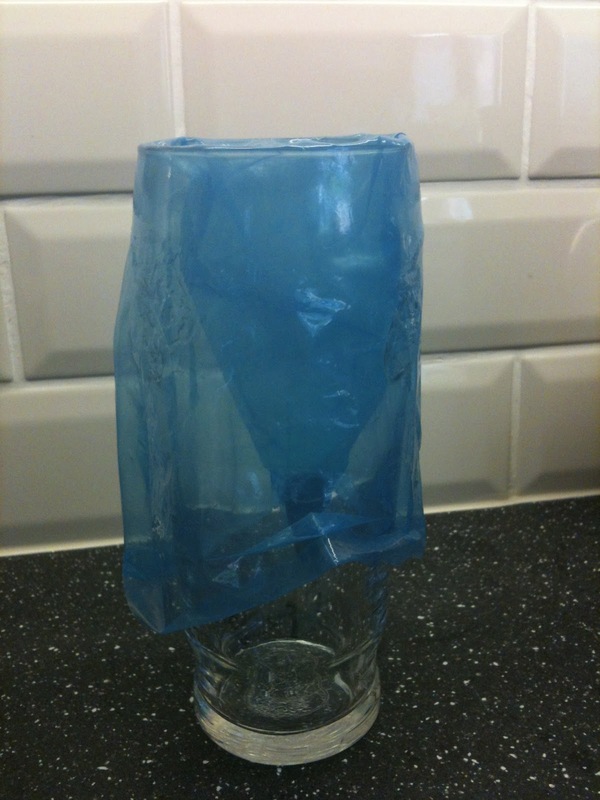 Top Tip: If you are using a piping bag then a really useful tip is to put it in a tall glass and fold over the sides, you can then spoon the mixture in using both hands if necessary and it stops accidents! 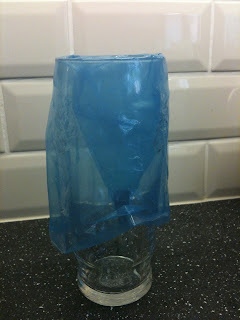 Fold the bag over the top of a tall glass! 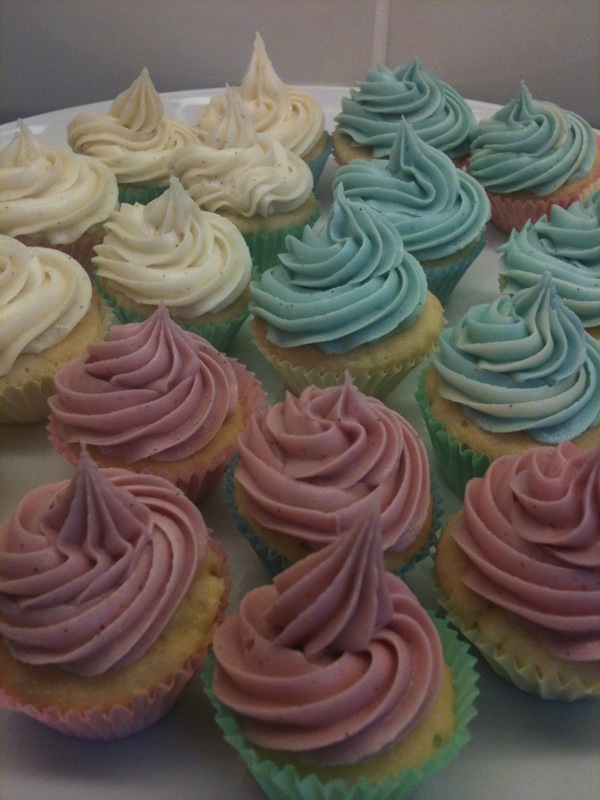 Using a Wilton 22 small star nozzle I piped little swirls onto the cupcakes in the three different colours, I decided they look like those mini gems you got when you were a kid. If you don't like too much cake then these are perfect, as well as for the kids! Although they aren't bright red and blue I love them, if it's possible I think they look a little vintage! Love the colour of the frosting!